There is no doubt that it is a visiting card of the city, inviting visitors to walk along the Royal Road (Droga Królewska). 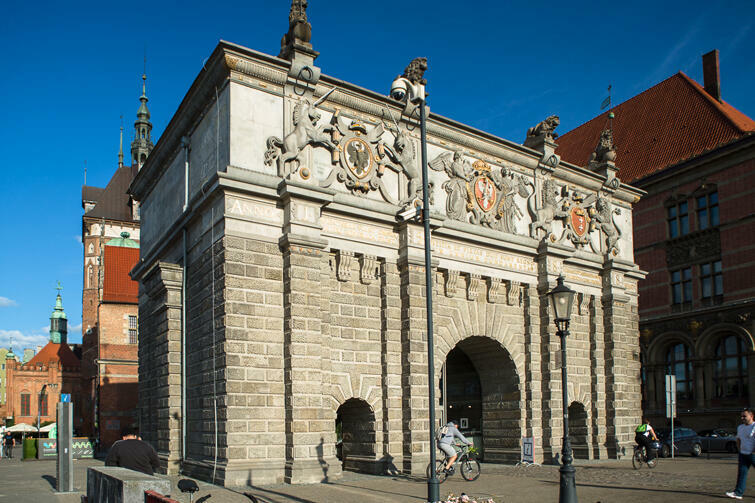 The Upland Gate is a Renaissance building constructed in 1574-1576 with ornaments and decorations chiselled by Flemish sculptor Willem van den Blocke. A perfect background for an Instagram photo  Nowadays, it also has a representative function in Gdańsk. In the old days, with ramparts that no longer exist and a moat, it was a part of modern fortifications protecting the access to the city. As of 2012, the building houses the Pomeranian Tourist Information Centre, worth visiting if you are looking for new places to see.